The notion of a lifestyle system leading to zero waste is obviously appealing, and a strategy of total reuse and recycling of: “waste material” is often advocated. However, there is a growing realization that the recycling process itself produces waste, and the environmental and economic cost of recycling and reusing certain materials invalidates the “zero waste” approach as a universally viable solution. Thus, solutions must be found to deal with the part of waste that it is not practicable to recycle or reuse. The energy content of municipal waste (whether raw or classified) is about 10MJ kg-1. If the total amount of waste material in any region is around 30 million tons per year or about 1000 kg/ s, the total energy is thus 10,000MJ /s = 10,000 MW. At an electricity generation efficiency of 20%, this could provide 2000 MW plus about 6000MWof district heating. This energy source is largely biomass, which is carbon dioxide neutral, and thus does not contribute to the total atmospheric greenhouse gases. 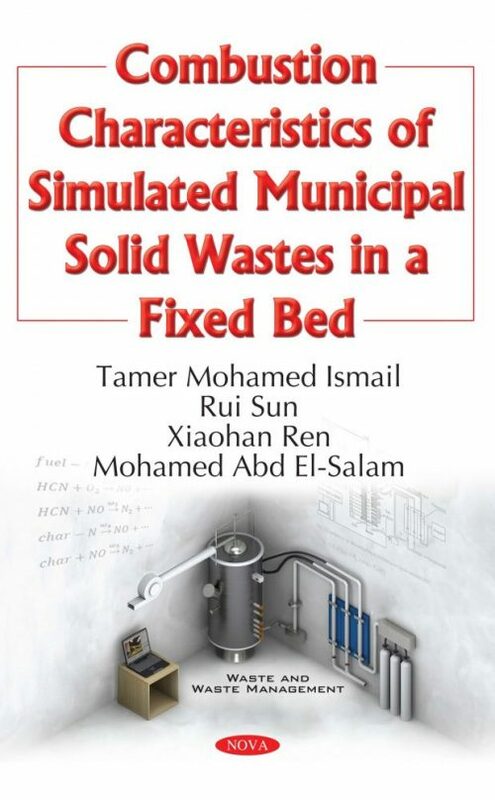 The present work includes many aspects of municipal solid waste combustion, such as the effects of moisture, particle size and ash content effects on solid particle during process rates (moisture evaporation, volatile release, and char burning rate). The COMMENT code has developed to reveal much detailed information on the combustion processes.